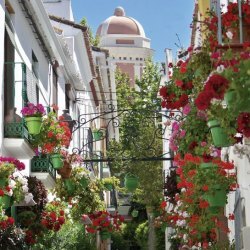 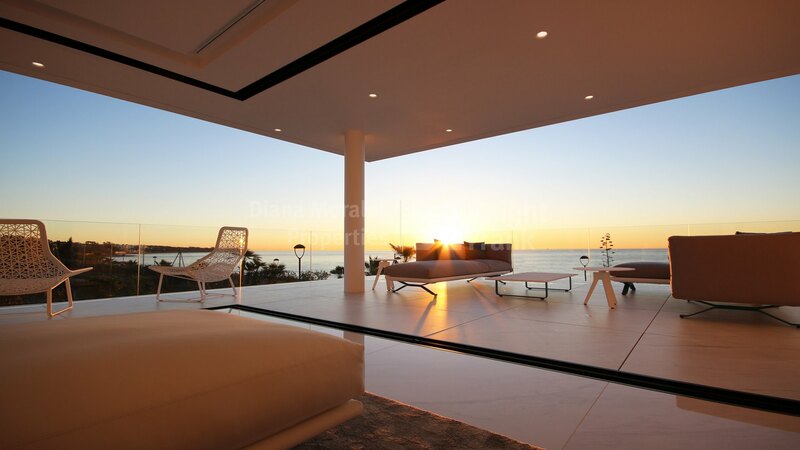 Please, send me more information about ref DMD1406 in Estepona or similar properties. 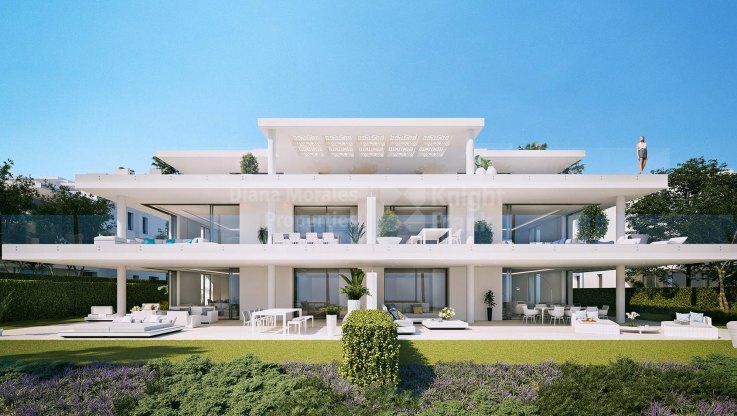 Located in a 20.000 m2 front line beach plot, this high security gated development of six blocks, comprising 28 amazingly residences of 3 & 4 bedroom, with exclusive access to the beach. 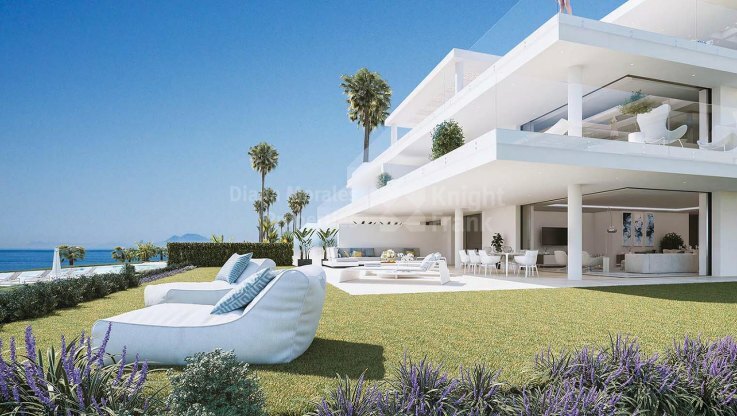 Each building of the complex is frontal to the beach and offers a minimum of three large parking spaces for each unit, with direct access from the private basement-storage, connected with each unit through a private lift. 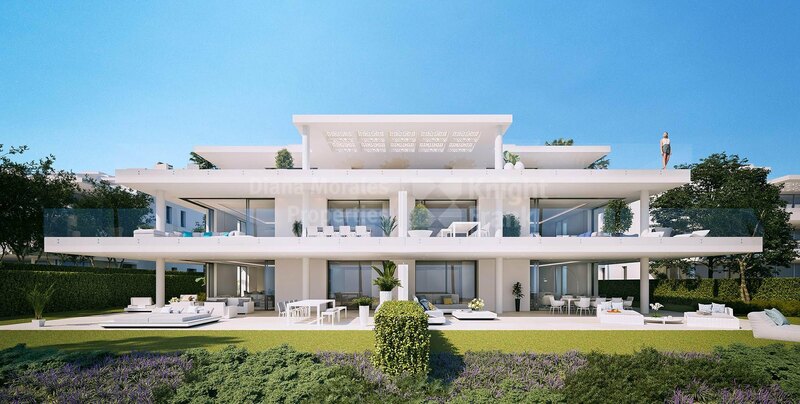 The 3-bedroom apartments have a total built area from 405 m2 up to 431 m2, and the 4-bedroom ones from 548 m2 up to 813 m2. The landscaped gardens spread between the residential area and the sea. 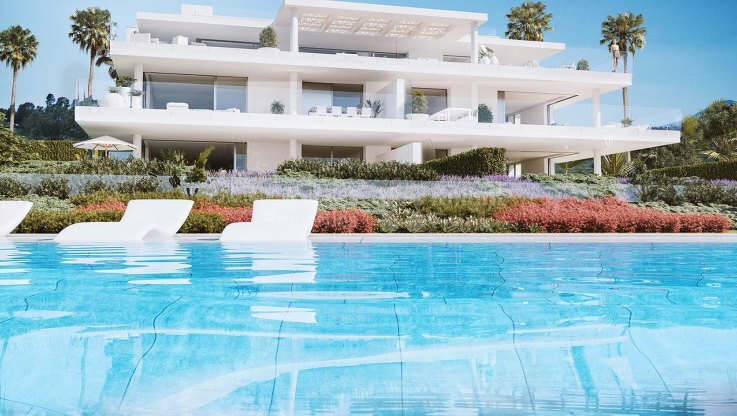 The stunning outdoor heated infinity type swimming pool merges with the nature, on a front-line beach position and it is run by salt chlorination system. 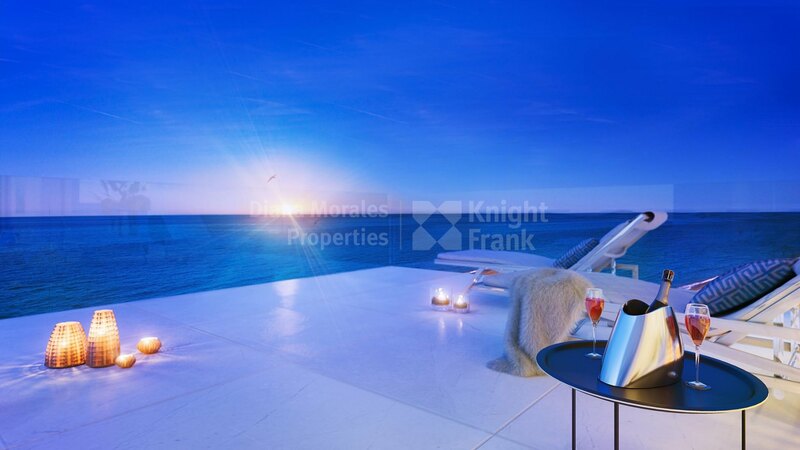 Smart and modern apartments with the most advanced technologies, fantastic design and innovative materials.